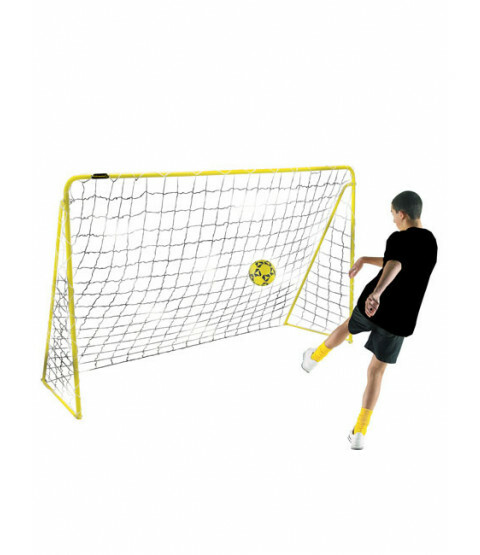 This quality steel 10ft football goal from Kickmaster is ideal for setting up at home in your garden. The sturdy steel frame with rust resistant paint and rot resistant net means the goal will withstand the elements allowing you to get in plenty of shooting practice. Why not pair up with the Kickmaster Training Set (product code KIC001) for the ultimate home football training experience.